Mobile Banking and Mobile Deposit from Mechanics Cooperative Bank make everywhere and anywhere your virtual banking office. 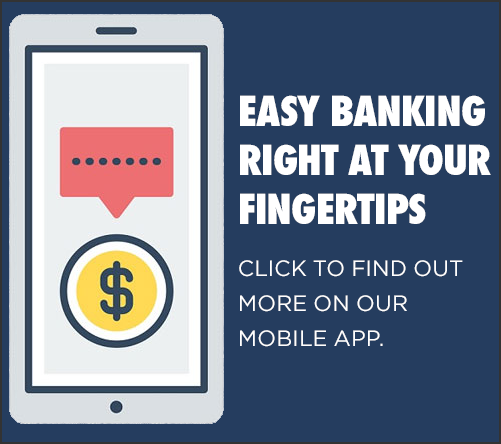 Get real-time account information, transfer funds and pay bills right from your mobile device with our simple and secure app. Download the “Mechanics Cooperative Bank” App from your App Store or Google Play Store. Once downloaded, you will be prompted for your current Internet Banking user ID, and password. You may also be required to answer your security questions. Within our Mobile Banking app, select “Check Deposit” from the left hand navigation and follow the instructions. Then just Tap. Snap. Deposit. Take photos of the front and back of your check and submit. You will receive confirmation of the deposit. Please feel free to call a Customer Service Representative with any questions about Mobile Banking and to assist you with the Mobile Deposit enrollment process. * Mechanics Cooperative Bank does not charge you a fee for using this service. However, charges from your wireless carrier may apply. Regular account charges apply. Mobile Deposit service is for personal checking or savings accounts only and is subject to eligibility. Deposit limits and other restrictions apply. iPhone, iPad and iPod touch are registered trademarks of Apple Inc. App Store is a service mark of Apple Inc. Android is a trademark of Google Inc.
No. We don’t save any files with your personal or financial information on your phone. That information stays strictly within online banking. For some phones, such as a BlackBerry, we have logo and branding files that we copy to your phone. Those files do not contain any personally identifiable information. When you view your account balance, you see the current available balance. When you view transaction history, you see the most recently posted transactions. If your mobile phone number changes, give us a call at 1-888-MECHANICS (632-4264) to update your information. Or, visit any of our conveniently located branches during normal business hours. If your mobile phone is lost or stolen, no one can access your account without knowing your password, and, in some cases, your unique user name. We support hundreds of models for these major brands: iPhone, HTC, LG, Motorola, Nokia, Pantech, Samsung, Sanyo, and Sony Ericsson. To stop using Mobile Banking on your phone, simply delete the app from your phone. What can I do to increase my security when using mobile banking? All mobile banking users should password protect their phone to limit unwanted access when left unattended, or lost or stolen. Using an app or web based mobile banking platform provides a more secure method of access verses SMS text. To further minimize security risks associated with a mobile browser, such as phishing, website spoofing and man in the mobile attacks, we recommend utilizing our downloadable app for all your mobile transactions. Also, be sure when downloading applications to your phone; only download from reputable sources and web sites. Should I access my accounts when using a public, Wi-Fi network connection? You should never access your account via a wireless local area network (WLANs) or a public Wi-Fi network connection. Most mobile devices can connect to WLANs which allows customers to minimize telecommunication expenses charged through their wireless carrier. Since the network connection is public, we cannot ensure it will be secure and incidents have occurred where personal account information has been stolen from an unsecure WLAN. If you have any additional questions about our Mobile or Internet Banking products please contact a Customer Service Representative at 1-888-MECHANICS (632-4264). When prompted for the amount, enter the check amount and be sure it matches the amount written on your check. Take a clear picture of the entire front and back of the check to include all four corners, but not too much of the surroundings and hold the camera square to the check to reduce corner to corner skew. Make sure that the entire check image is visible and in focus before submitting the deposit. Also, be sure to clearly capture the MICR line (numbers on the bottom of your check). Keep the checks deposited via Mobile Deposit for thirty (30) days before they are destroyed. Deposits made after 4:00 pm EST will be considered deposited on the following business day and will usually be available within two business days. You can monitor the status of your mobile deposits through Mobile Banking. All mobile deposits will be labeled “Remote Deposit” on your monthly statements and within Online Banking. Checks payable to any person or entity other than you (i.e., payable to another party and then endorsed to you). This applies even if the person is an authorized signer on the same account the check is being deposited into. Checks payable to you and jointly to another party. This applies even if the person is an authorized signer on the same account the check is being deposited into. Checks that contain evidence of alteration, or that you know or suspect, are fraudulent or otherwise not authorized by the owner of the account on which the check is drawn. IRS Checks, Savings Bonds, foreign checks and insurance checks.